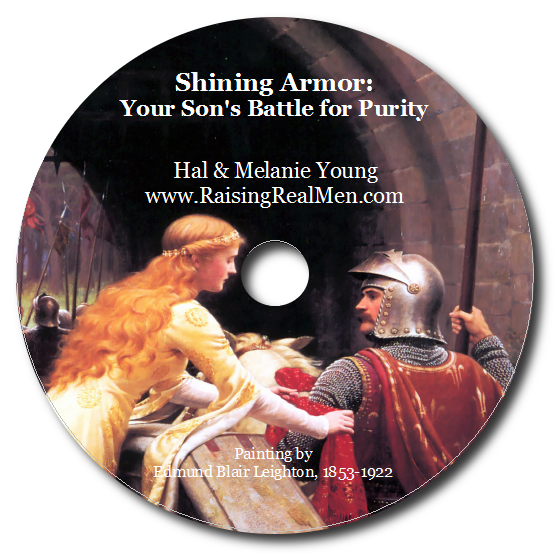 Hal and Melanie Young have six sons and two daughters—the six boys came first. Their children range from 2 years old to out of high school. They speak on parenting, educating your children and family policy issues among other subjects. You can read more about their ministry at RaisingRealMen.com. Divided into two parts, the Young’s first offer biblical foundations for how they parent their boys (and, yes, sometimes even their girls). The introduction to part one looks at the virtues of being a man and how God intended for men to be, well, men. Chapter one is an apologetic for our boys having the right set of heroes to look up to. First and foremost must always be Jesus Christ, then dad. After that, you, as the parent must help your son to be discerning as to who they look up to. Chapter two looks at the biblical foundations for a boys sense of adventure and boldness while chapter three offers tips on how to teach your sons to stand for something while learning how to be responsible. A helpful chapter is the chapter on boys and guns and what the Bible says about the subject. This section concludes with chapters on what it means to be a servant leader and how to train your boys to be citizens with a proper understanding of their role as a citizen both here and in Heaven. 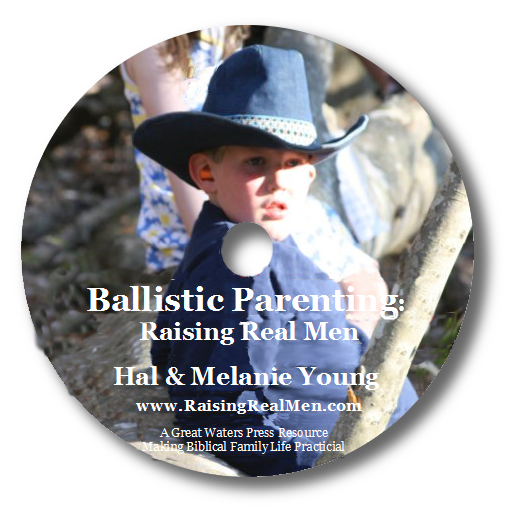 After having laid the biblical foundation for their parenting, Hal and Melanie offer practical tips on how to actually parent your sons. The first chapter in this section looks at how you should teach your boys diligently and without ceasing. The second chapter in this section looks to how to teach the boys to use money. An extremely helpful chapter is the one entitled “Your Own School for Boys.” In this chapter, the authors detail major key differences in the development of boys when it comes to education. Basically, this chapter helps to keep parents from sounding the “freak out” alarm when little Johnny doesn’t learn as well as little Timmy. In two practical chapters, they look at the misconception that chivalry is a thing of the past and that working in the kitchen is for women. No, you will not scar your boys for life if you make them work in the kitchen! They conclude the book with how to guard your son’s mind from the spiritual battles that will take place in their lives. The last chapter is the guide on how to set your boy free to become a man. Mom’s will definitely want to read this. The only real issue I had with anything in this book was their section on stewardship and how to teach your sons to use a credit card. They act as though a credit card is inevitable and therefore every child must be taught how to use one. I have not used a credit card in six years. I don’t plan on using a credit card ever again. Anything you can do with a credit card can now be done with a debit card. Outside of that one issue (and it is really a non-issue), I highly recommend this book to any parent who has a son (or three). I cannot tell you how many times my wife and I, the parents of three boys so far, would say, “Man, I wish we knew someone with similar convictions as us that would allow us to pick their brain on raising our boys.” Well, we now have that brain to be picked. 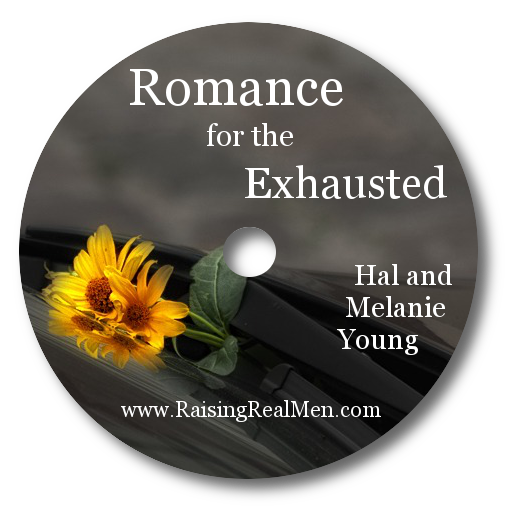 Hal and Melanie write as though they are sitting at your kitchen table discussing what they have experienced in their 20 years of raising boys and offer their experience to you. They make it a point to declare that “this is what we do” and not that it is the only way to do it. They maintain a humility (boys will do that to you) throughout the whole book. To read this book once is to plant many seeds in the mind of the parent. To own it and have it at your disposal is to have a watering can with an infinite amount of water to water that seed. This will be a book my wife and I reference again and again.